The gallery contains 38850 photos with 31750 comments and 62172261 views. 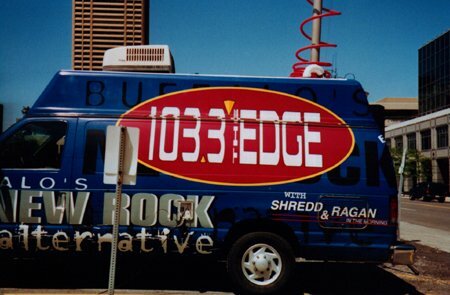 Tommy Dimos, drummer of Third Verse addressed the Edge 103.3 faithful from this van that sunny afternoon. Ok.. it must be the language barrier here, but all I could understand is that, Tommy is the hot guy shaking Bono's hand in one picture?? But, let me see, to adress someone faithful.. hmmm.. nope, don't get it! ..I'll just spend the day with my best friend The Dictionary today..